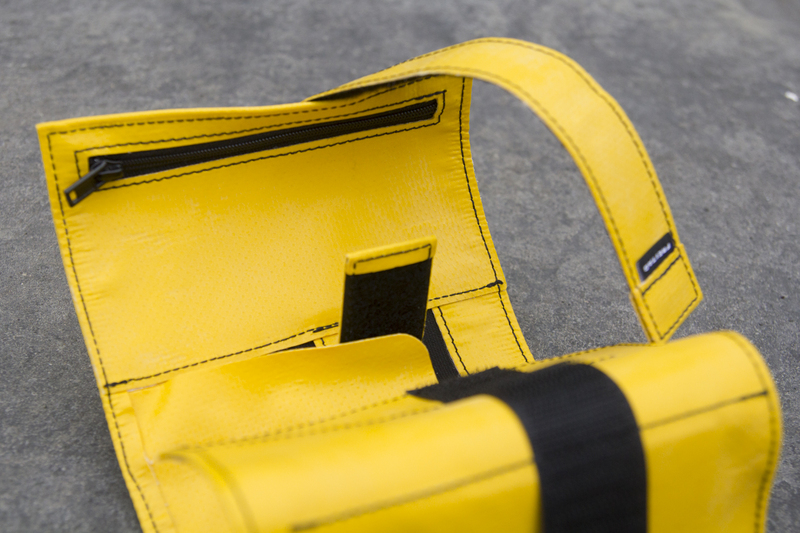 Patrick Seabase, mega-mountain-rider and all rode stylish dude, has hooked up with Swiss bag manufacturer FREITAG to produce a rather lovely tool roll, the F154 GRANGER. 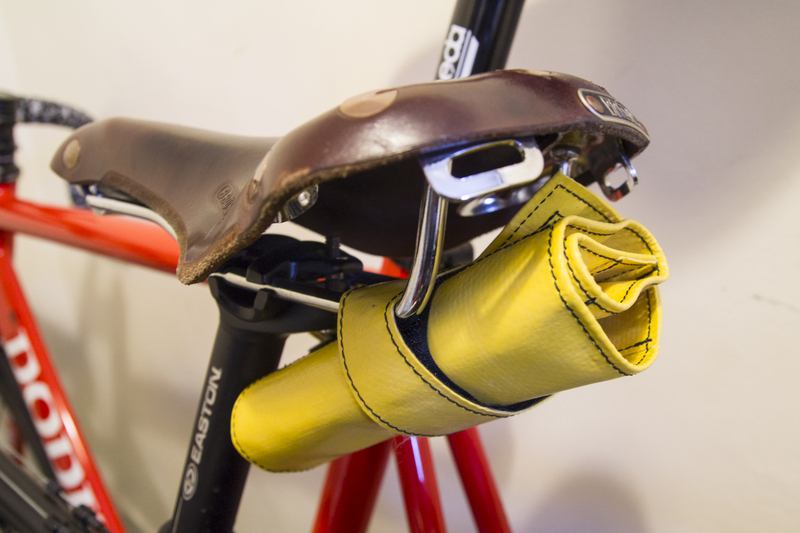 Made out of recycled tarp, this handy little number is ideal for wrapping all your tools, and then you strap the lot to the rails of your saddle. 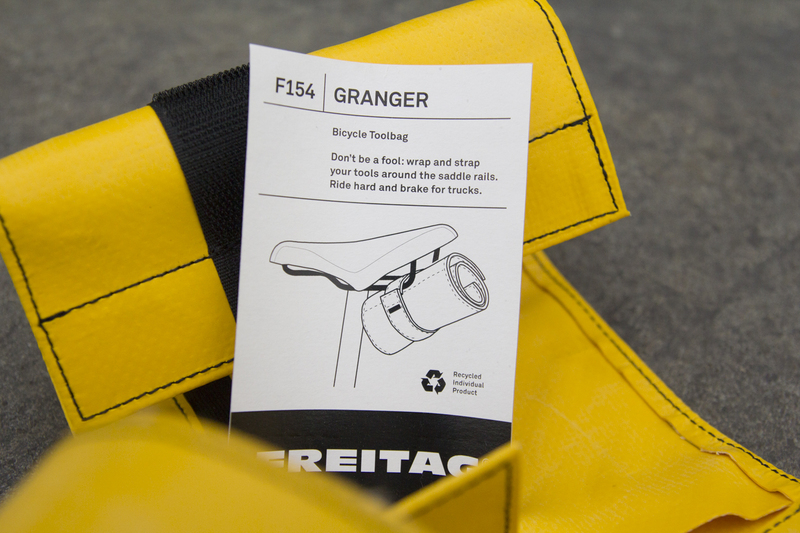 FREITAG products are made from original recycled materials – used truck tarps, used car seat belts, air bags and bicycle inner tubes. 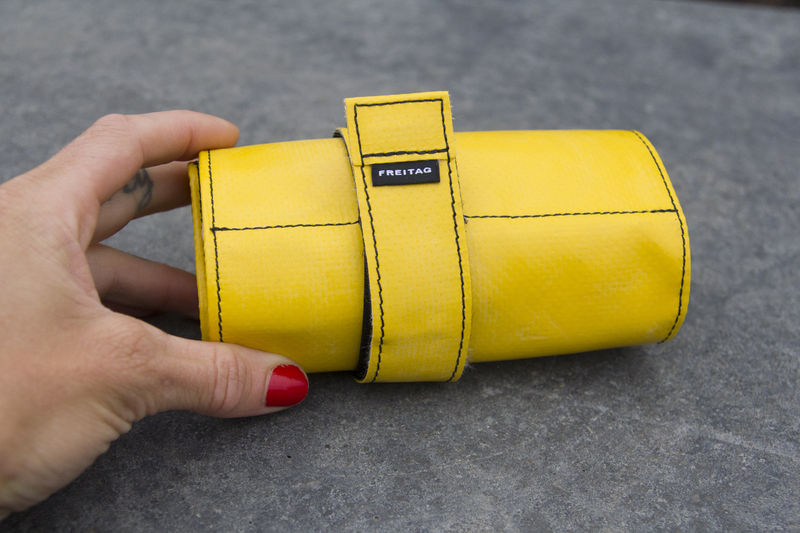 Because the materials are tough, the products are too, and every single FREITAG product has its own individual design, thanks to the raw materials they work with. 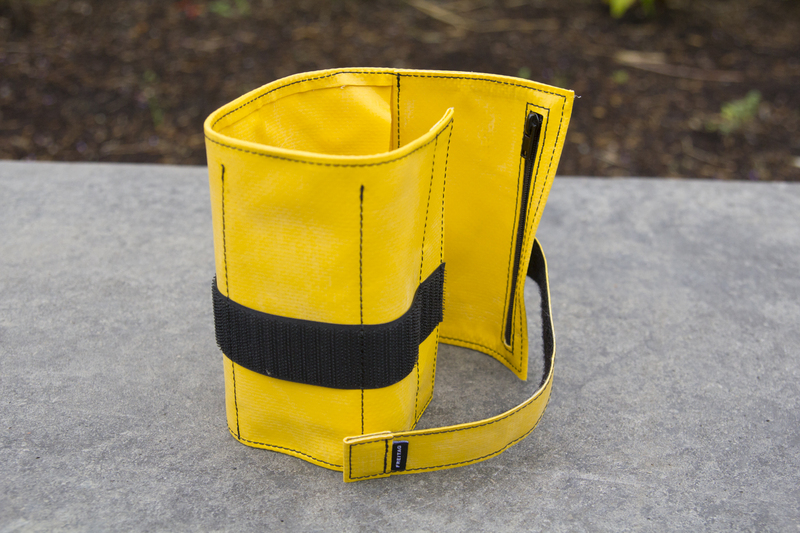 I’m not a big fan of saddle bags, even though I use them sometimes, so this is a pretty rad alternative to bunging all your bits and pieces in your jersey pocket. A simple design that’s well executed, it even has a zip pocket so you can stow a few pennies for your coffee stop. Go grab your own F154 Granger from today.